Well, at that time I couldn’t answer because in my opinion, Jakarta has everything. 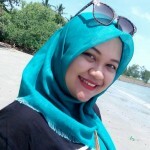 It has numerous malls where you can find anything you want, many tourist attractions, and of course restaurants offering diverse cuisines from around the world. For the restaurants, they don’t only have different signature menus, but also design and concepts that will attract you to come and chill there. By saying different design and concept, I’m not only saying about restaurants with artsy furniture or luxury designed ones—but also restaurants with unique and extraordinary concepts. 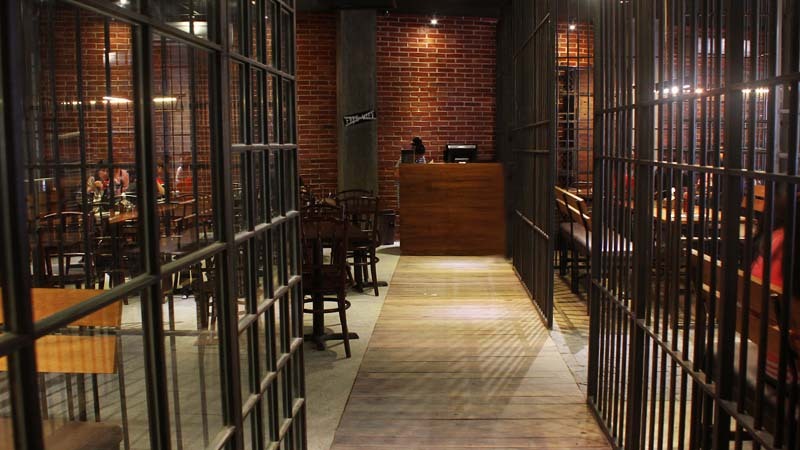 In Jakarta there are many restaurants that have unique designs and concepts, from ‘normal’ library-like restaurants to restaurant with jail as its main theme! And of course, these restaurants also offer you with delicious food to complete your experience. If you love the typical Indonesian village ambiance, you must go this place. From the outside, this restaurant may look uneappealing—just a house in the middle of Setiabudi, South Jakarta area. It even looks like just an ordinary warung. But when you enter this restaurant, you will be automatically ‘hypnotized’ by the atmosphere. Very homey ambience, with soft gamelan music tickling your ears, and the unique Javanese interiors that will remind you to the villagers’ home at Jogjakarta. The foods are also good—they are all Indonesian foods with unique name like Ayam Rambut Setan (Devil’s Hair Chicken) or Bebek Jingkrak (Jumping Duck). If you’re craving for Sambals, you must try its signature Sambal Iblis (Devil’s Sambal)—very hot Sambal Bawang mixed with tempeh. Warning: if you have nosocomephobia (phobia relating to the fear of hospitals), this place is not recommended for you. As it name implies, this restaurant is designed just like hospital. You will find modified wheelchairs, hospital beds, and the waiter and waitress wearing nurse uniform. Don’t be surprised if your drinks and foods are served in IV tubes, typical hospital trays, or injections. 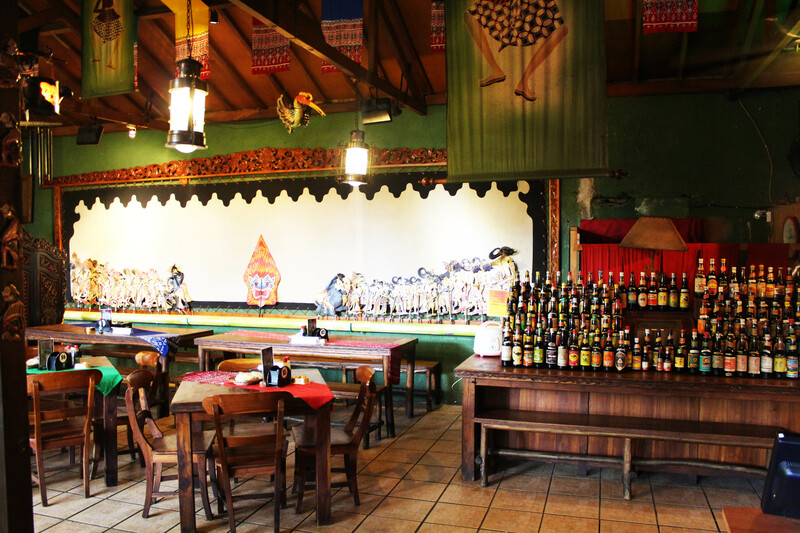 Moreover, this restaurant offers delicious Asian cuisines to complete your dining experiences. Don’t worry, the place is free from nosocomical infection! What do you imagine when you hear ‘prison’? A dark, cold place with locked cage. It is probably the saddest place on earth. Bong Kopitown is a restaurant with prison as its main theme, and it claims that you will be ‘the happiest prisoners on earth” when you dine in this restaurant. Black cells act as separators between one room and the others. Other unique things about this place are the waiters and waitress wear prisoner uniform, and the foods are served on aluminum cutleries used in prisons. You are sure will be the happiest prisoners on earth! Let’s reminisce our childhood here! 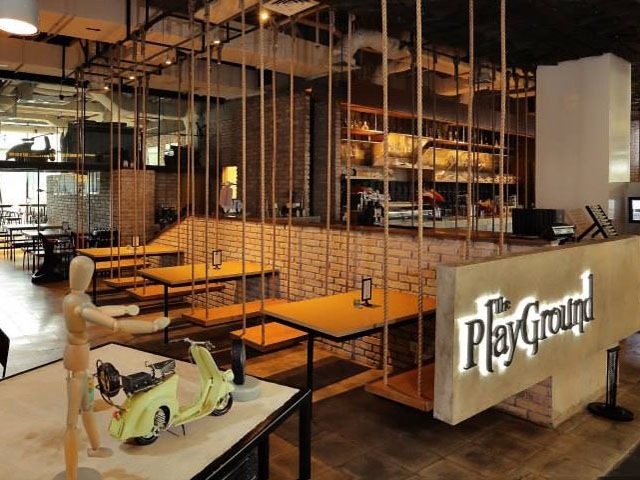 This restaurant offers fun concept with playground-themed interior design. Some of the chairs are swings, and some are round rotating tables. It is just like playground like its name implies. 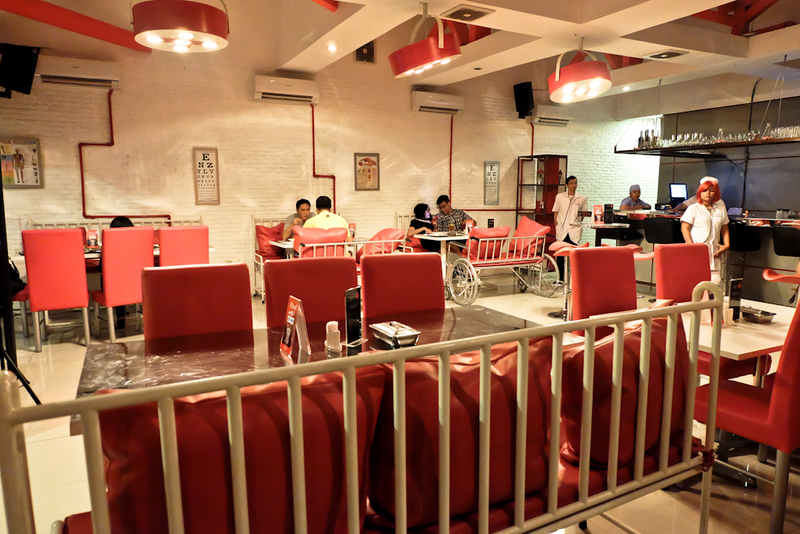 It is a good place to go for family dinner, because your kids will also enjoy being there. Are you a fan of comic characters? If the answer is yes, Comic Café could be a little heaven for you. The walls, the ceilings are full of comic characters such as Superman, Wonder Woman, Captain America, and even some Japanese manga characters! 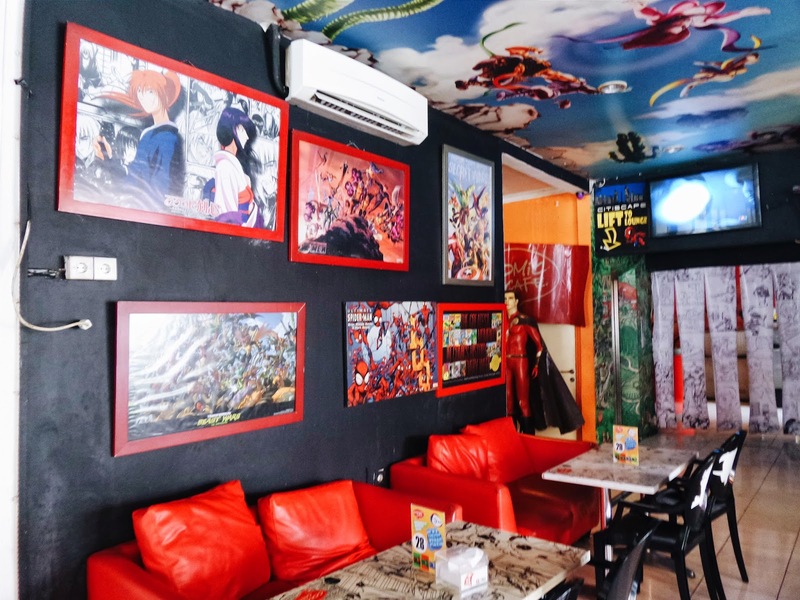 Comic Café really has nice ambience to enjoy your leisure time with friends and families and of course, indulging your appetite!